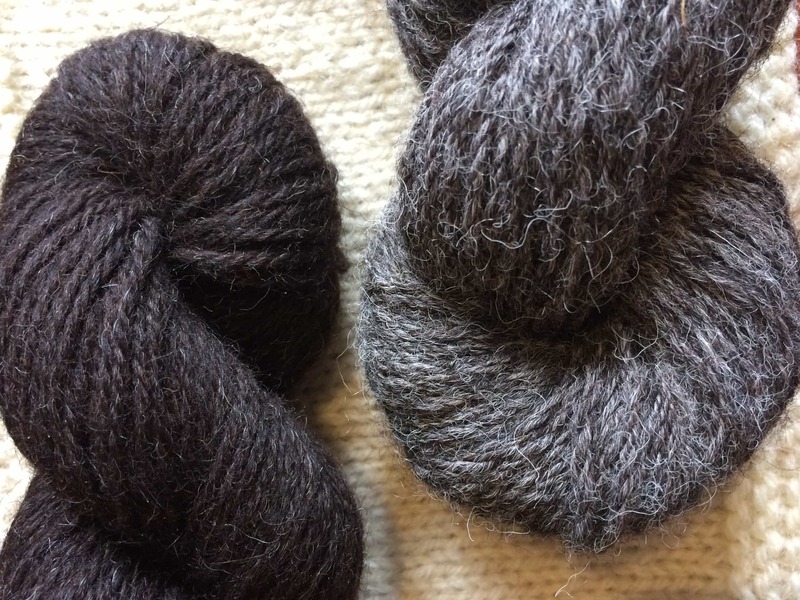 You can listen to the KnitBritish Podcast here on the blog, on iTunes or the Podcast App and you can also download from podgen. Jo and Mica let me bring out the big parade again to announce another Edinburgh Yarn Festival exclusive. I read out over 80 vendors and exhibitors who will be at the festival, at the Corn Exchange on 14th & 15th March. 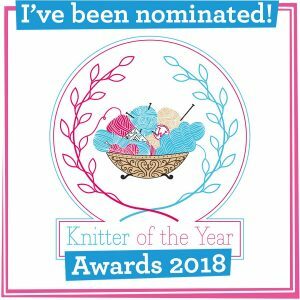 The list is AWESOME and, truly, there is something for everyone here from weaving, spinning, felt, knit, crochet, designers and so very much more. You will see a lot of your favourite indie dyers and sellers here, as well as lots to get to know! Get over to www.edinyarnfest.com and read the list for yourself. Even more excitingly I can tell you this this is only the first wave of exhibitors….there will be more announcements at the end of the month. There are still a few slots left in some of the classes – if you are thinking of attending the festival then get over to the EYF website and see if you can snaffle a place. There will be some Podcast Lounge news coming soon too, so keep your eyes peeled. I have a little delve into my old diary and remember all the experiences of 2014; the best ones have included wool and knitting and meeting some absolutely wonderful people connected to those two things. There have been some bends in the road, but you can’t look back with too much regret and bitterness. I feel that when life slaps a big boulder in your path, it takes less energy to just go around it instead of through it! ‘Focus’ has emerged as my word of the year – you may have heard a lot of people taking a word to inspire and aspire to over the year, as opposed to making a traditional resolution. 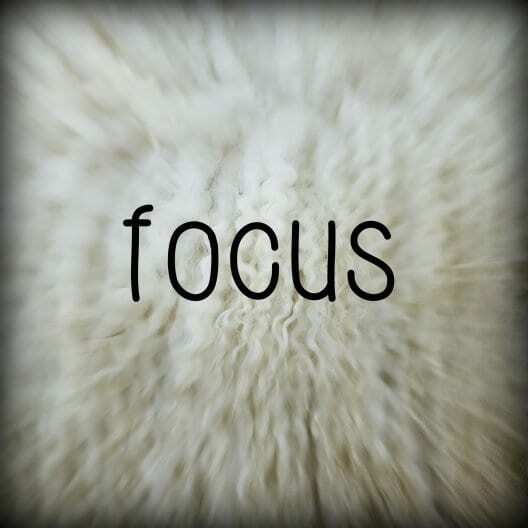 Focus has so much meaning: vision, emphasis, spotlight, concentration, clarity, anchor, centre point, heart/h….it is such an utterly perfect word for the things I want to achieve both personally and on KB. I want to focus on my knitting goals too, specifically Fair Isle, sock and hap knitting in 2015. What are your knitting focuses this year? 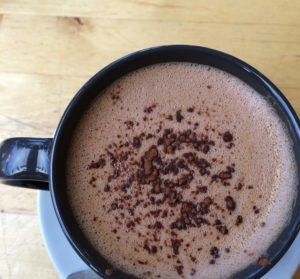 Jump onto the KnitBritish Ravelry group and share with us. 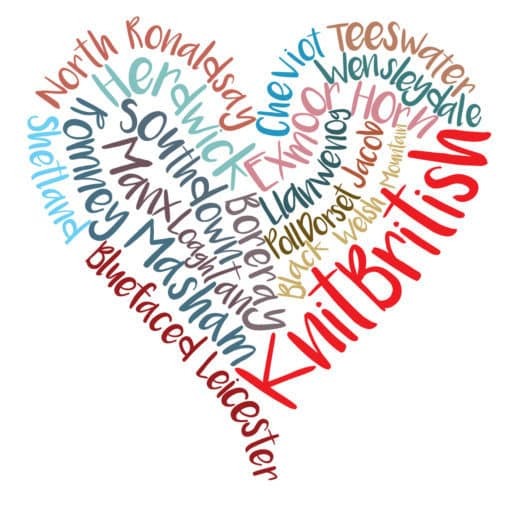 | KnitBritish Podcast First Birthday! Please comment there and tell us which British breed wool you want to try this year, what you might knit with it and you can even tell us your 2015 craft goals. I will be reading some out on episode 20 and drawing a random entry from that thread on the show. The prize is at least 250g 400 grams of wool (more, but not weighed yet) and includes some fantastic British wool and fibre yarn, most of which has been featured on KnitBritish over the last year – including Fenella, Yarn Garden, Wensleydale Longwool Sheepshop, Town End Alpaca and Jamiesons of Shetland. I will close the thread at midday (UK) on Thurs 15th and episode 20 will be out around 16th January. We had a really lovely swap at Christmas by gifting swap partners a pattern from their wishlist on Ravelry. I swapped with IvyFox and received Mama Vertebrae, by Kelly Brooker, in return for Tess Young’s Derwent Water shawl. I have cast on Vertebrae in Skein Queen Voluptuous in Verdigris, but that is as far as I have gotten. I am really chuffed with this pattern and thanks to IvyFox for picking it. Thanks too, to Clare, Kate and Gillian who also sent me a pattern gift over Christmas. I was really, really overwhelmed. 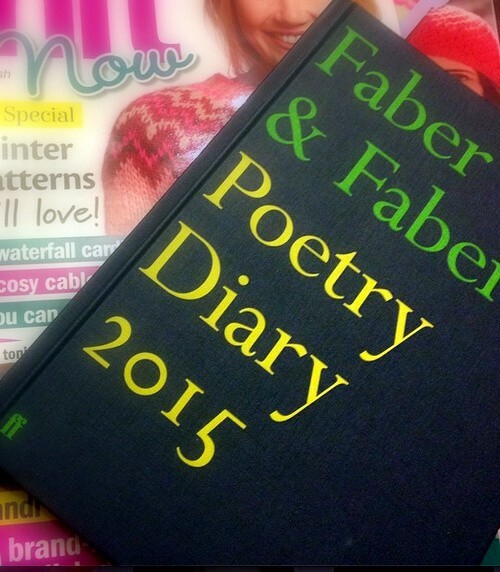 Well, I must go and continue to fill in my new 2015 diary. I hope that 2015 is full of all things magical-awesome for you. Thanks so much for listening and we shall catch up again very soon! Title music: Madeline by Ukulele Jim. End music: Resolutions Six Feet Long by AtomSplit (cos it’s New Year, right?). Other music: Me without you by Two Fishes.